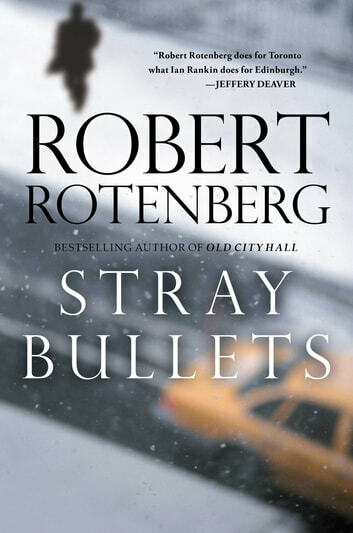 From the bestselling author of Old City Hall comes Robert Rotenberg’s third intricate mystery set on the streets and in the courtrooms of Toronto. In The Guilty Plea and Old City Hall, critically acclaimed author Robert Rotenberg created gripping page-turners that captured audiences in Canada and around the world. In Stray Bullets, Rotenberg takes the reader to a snowy November evening. Outside a busy downtown doughnut shop, gunshots ring out and a young boy is critically hurt. Soon Detective Ari Greene is on scene. How many shots were fired? How many guns? How many witnesses? With grieving parents and a city hungry for justice, the pressure is on to convict the man accused of this horrible crime. Against this tidal wave of indignation, defense counsel Nancy Parish finds herself defending her oldest and most difficult client. But does anyone know the whole story?